Titanium dioxide is extensively used as a white pigment in outdoor paint for being chemically inert, for its great coating power, its opacity to UV light damage and its autocleaning capacity. A typical lipstick contains 10% titanium. Titanium alloys are very strong, light weight, and highly corrosion resistant. This makes them perfect for use aircraft, pipes for power plants, armor plating, naval ships, spacecraft and missiles. Titanium is as strong as steel but 45% lighter. In medicine titanium is used to make hip and knee replacements, pace-makers, bone-plates and screws and cranial plates for skull fractures. 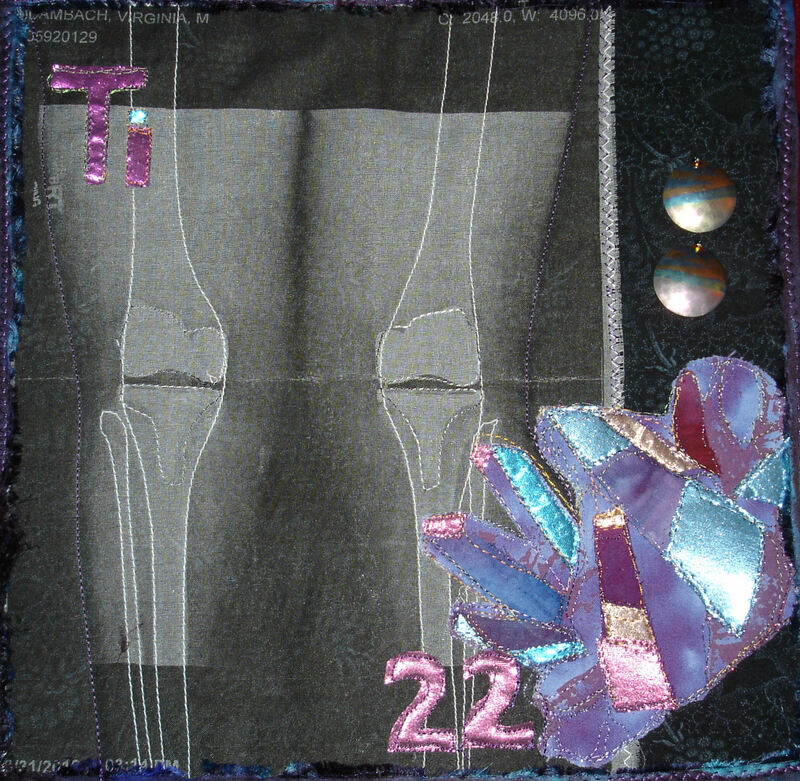 My quilt features an X-ray of my new titanium knees, titanium earrings as embellishments, and titanium crystals. Titanium is also the best sunscreen!